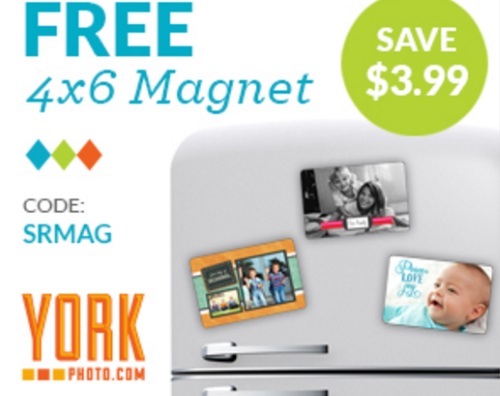 York Photo is offering a Free 4x6 Photo Magnet! This can be customized to your liking. Enter the promo code SRMAG at checkout. Offer is available for a limited time. Shipping and handling applies, starts at $1.99 depending on where you live. Click here to browse York Photo.